The pundit class have officially snapped over the Trump administration’s zero-tolerance border enforcement policy. Since Friday, the collective breakdown has yielded a total of 22 instances in which cable news commentators compared the separation of parents and children illegally entering the country to World War II-era war crimes and human rights violations. 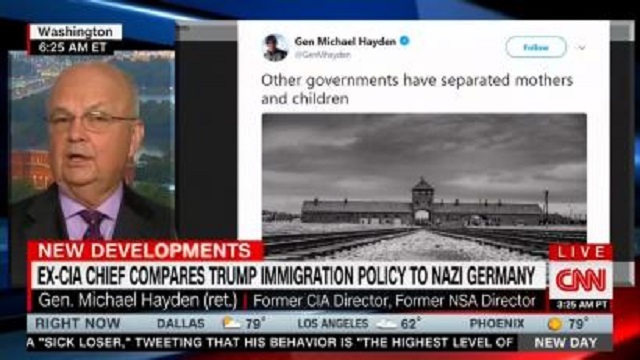 The Holocaust was invoked 12 times across CNN and MSNBC between June 15 and the 18th, generally in the form of comparisons between DHS detention centers and Nazi concentration camps. There were also six mentions of Japanese-American internment camps, as well as four comparisons to slavery.